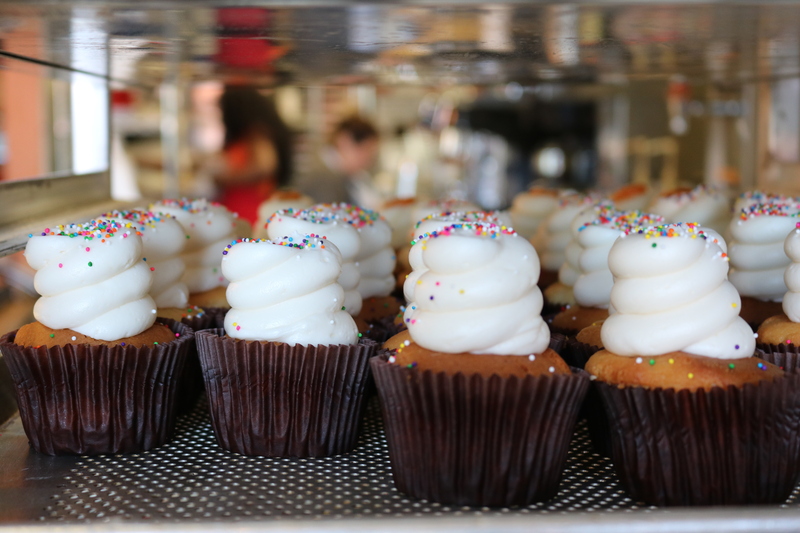 From Hennessy and Coke cupcakes to banana pudding, Dulan’s on Crenshaw and Southern Girl Desserts give residents in Leimert Park a taste of their owners’ Southern roots. "Food is nostalgia. We're attached to food emotionally." -Shoneji Robison, Southern Girl Desserts. For those who frequent Southern Girl Desserts and Dulan’s on Crenshaw, the traditional Southern fare is a reminder of home, or of a grandmother's home cooking. 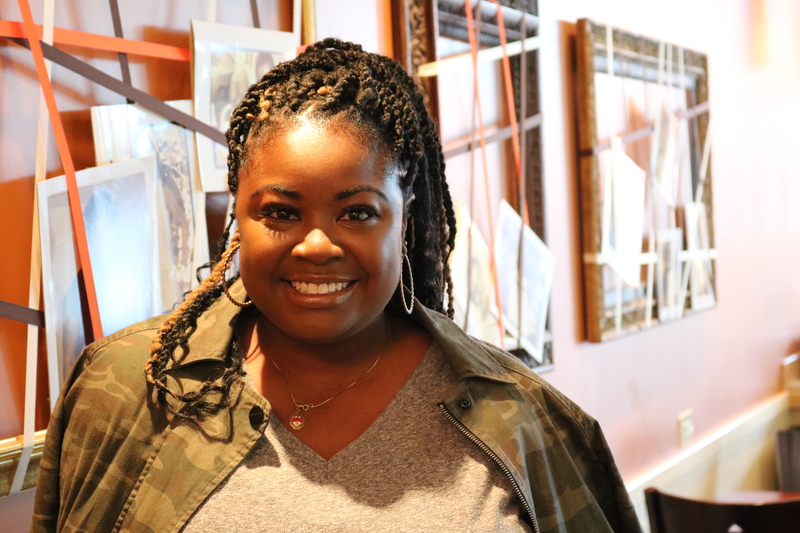 Catarah Coleman, co-owner of SGD, believes Leimert Park customers, some of whom she says are the children and grandchildren of black ancestors who fled the Jim Crow South generations ago, find comfort in the familiar flavors. Self-proclaimed "dessert divas" Catarah Coleman and Shoneji Robison had only met once when they agreed to become business partners in 2008. Only six months earlier, Coleman had started Southern Girl Desserts out of her home, baking family recipes in an effort to build generational wealth. Nearby, Robison was considering doing the same thing. The Florida natives both attended Florida A&M University and were living in Los Angeles, but their paths hadn't crossed. Mutual friends pushed them to meet up. "Although the company wasn't started by us together, it was built together," explained Robison. "We got married after dating for thirty minutes," Coleman added, laughing. 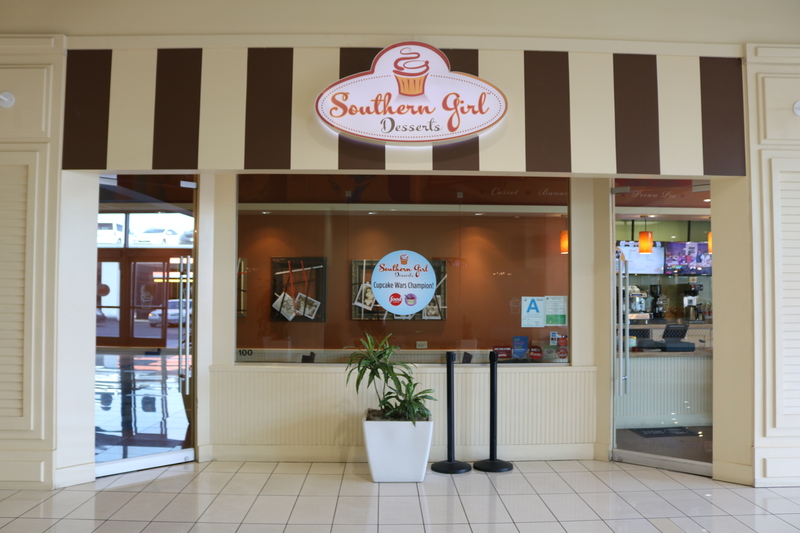 Southern Girl Desserts sits at the edge of Baldwin Hills Crenshaw Plaza. Now they co-own a brick and mortar location in Baldwin Hills Crenshaw Plaza. 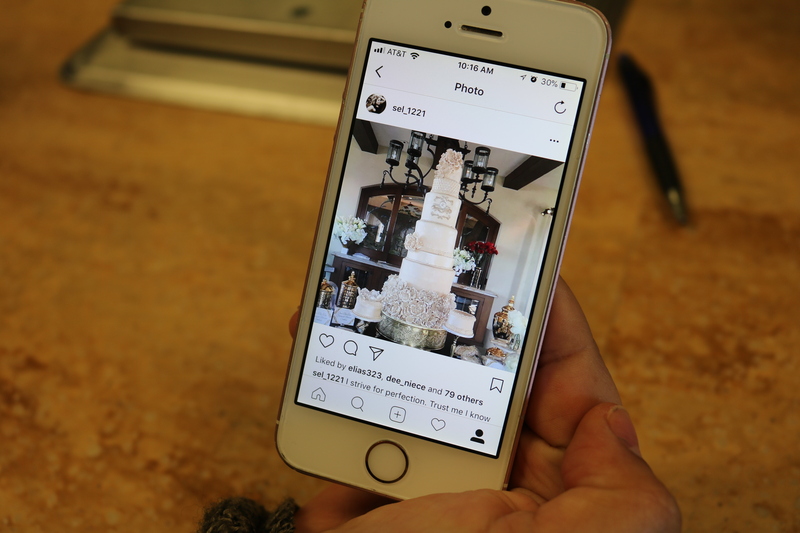 Customers can peer through display cases at frosting-stacked cupcakes and gooey, sugar-dusted peach cobbler, then sit with their treat under small, sparkling, crystal chandeliers. Coleman says the idea to start a Southern bakery blossomed when she couldn't find her hometown flavors in the area. 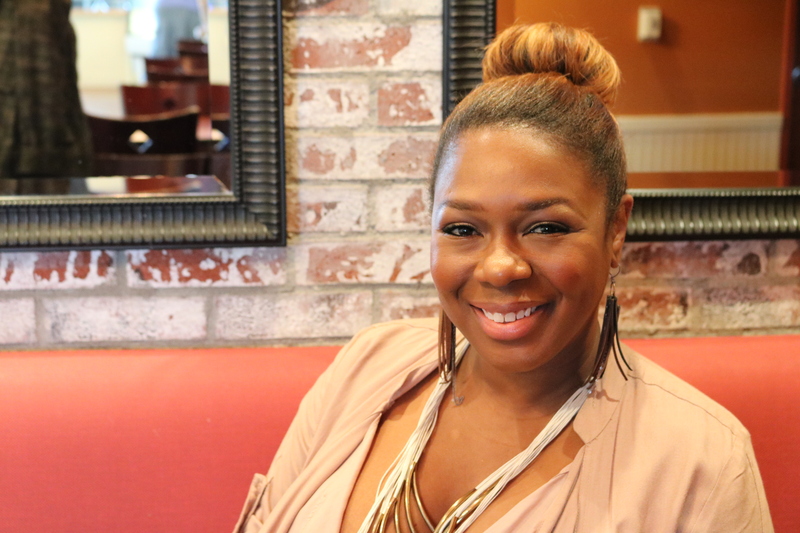 After turning her cravings for banana pudding and sweet potato pie into a business, she found the community shared her nostalgia for the comfort foods many had grown up with. In the kitchen with the "Dessert Divas"
The co-owners of Southern Girl Desserts discuss how their cultures and family backgrounds influence their baking. "They're two, three, four generations Californian and they've been removed, but they remember those flavors. When they come here it reminds them of the way their grandmother used to cook in Louisiana or Georgia, or down in Florida, so many decades ago," said Coleman. The duo's Southern roots run deep. Although they haven’t had formal training, they each credit their families with giving them the kitchen know-how that keeps customers coming back to their traditional flavors. Many of their recipes were passed down by aunts, grandmothers, and other relatives. "Every single person in the family knows what they're doing in the kitchen, so you come here and you make the assumption that everybody can do this," said Robison. "Everybody can’t do this." Coleman says she felt especially affirmed when she and Robison won Food Network’s Cupcake Wars in 2013. It was their third time competing on the show, and the win opened doors to name recognition and celebrity clientele. "It definitely helps with confidence and it just kind of confirms that we're in the place we're supposed to be," she explained. But as their business gained traction, they also had to learn how to deal with criticism. Since most of their recipes are tied to family members, that sometimes takes a thick skin. "The more we grew and the more popular our bakery became the more critics came with that as well," Coleman said. "I had to make sure that when you said something that you didn't like about the banana pudding, that you weren’t talking about my grandmother." 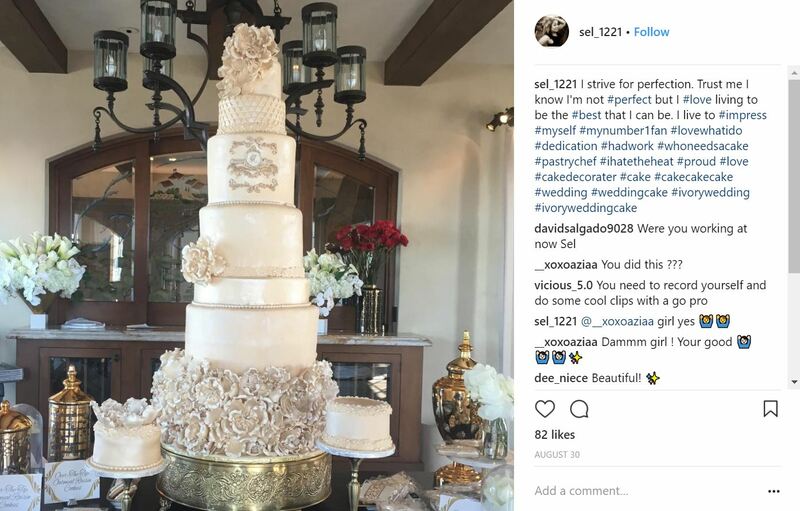 Selia Arroyo decorates cakes at Southern Girl Desserts. She started off experimenting with cake decorating at home after she was inspired by TLC's Cake Boss. She says the prospect of working at SGD was what motivated her to leave her job at McDonald's and finish her degree. 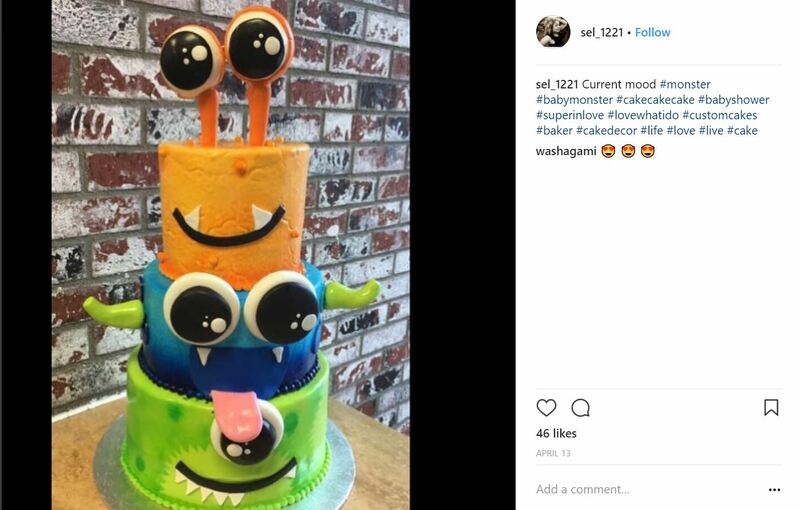 Now, she features her custom cake designs on her Instagram. Restaurant owners Shoneji Robison, Catarah Coleman, and Greg Dulan discuss the foods they most crave on their own menus. "Every great city needs a great soul food restaurant and Dulan’s is that restaurant for the city of L.A."
At Dulan's on Crenshaw, a son carries the weight of his father's legacy on his back. From the plaques on the walls, pictures with local politicians, and the faded black and white photograph of his grandparents on their farm in Luther, Oklahoma hanging in the Dulan's on Crenshaw catering office, it's easy to tell Greg Dulan takes pride in continuing his parents' soul food legacy. 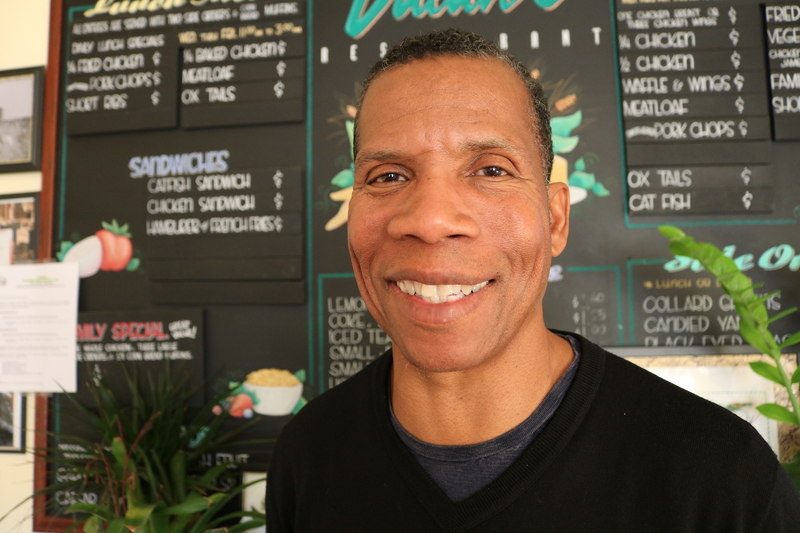 From his storefront on Crenshaw Boulevard, Dulan operates his catering business and serves Angelinos heaping plates of Southern classics like collard greens, black eyed peas, and fried chicken, cafeteria style. Part of his customer service philosophy is making sure his servers are generous with their portions. "One meal is really two meals at Dulan's," he said. Dulan got his start flipping burgers with his four siblings, at his mom and dad’s hamburger stand in Marina Del Ray as a teenager. When the family faced financial troubles and threats of eviction, they overhauled their business model and introduced the West Side to soul food. "Unless you traveled from Marina del Ray or Palos Verdes or Pacific Palisades and went to the black part of town, you did not have access to soul food," Dulan explained. "And as it turns out, there were a lot of folks in that part of town who loved soul food." 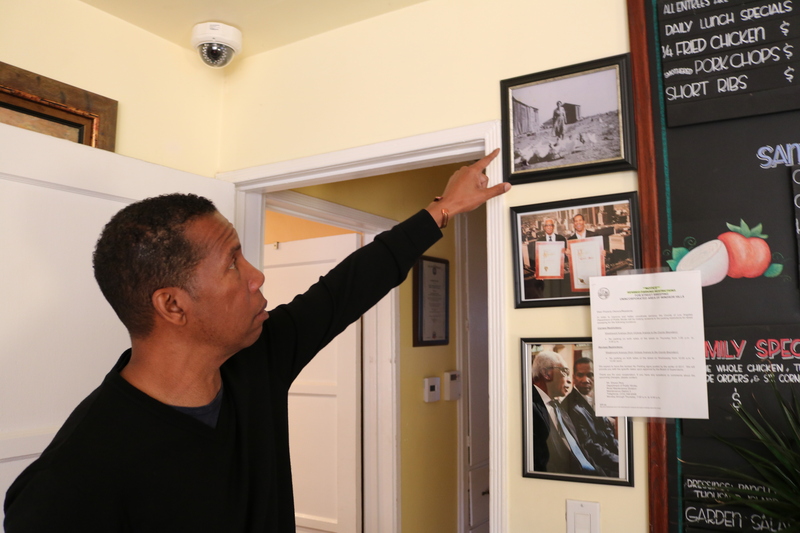 Greg Dulan points out a photo of his grandparent's Oklahoma farm he keeps in his office. 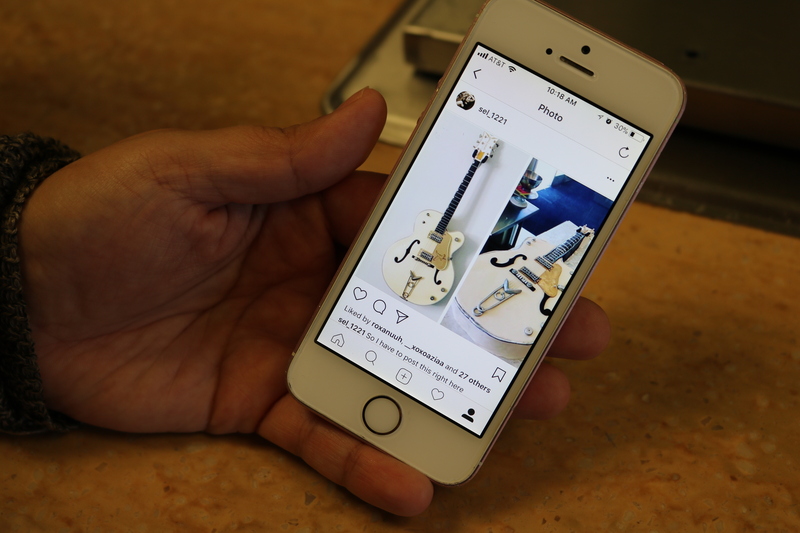 Decades later, Dulan still uses the advice his father, Adolf Dulan, left him before he passed away in May, as he and his youngest brother, Terry Dulan, continue the brand their father started. "The mentorship was invaluable and the things that I learned are things I rely on to this day to help me survive, to help through tough times, and to help me market the business," Dulan said. But Dulan hopes the family catering business won't end with him. He has two children of his own, and owns his restaurant's location. Though his daughter, who studied management at Howard University, hasn't expressed interest in picking up the torch yet, Dulan is optimistic that she'll come around the same way he did for his father. "People get excited about eating soul food. I don't care how old you are, or what race you are, you get excited." While Southern influences shine in Leimert Park, other restaurant owners show off their own unique backgrounds at these locations. 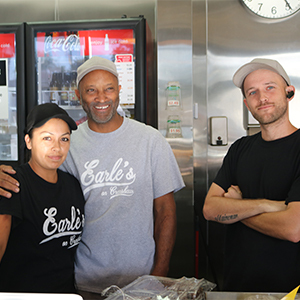 Under the guidance of brothers Cary and Duane Earle, Earle's on Crenshaw evolved from a hotdog stand in Venice to a successful storefront and catering business. Unlike most hotdog shops, almost half of the items featured on Earle's menu are vegetarian. 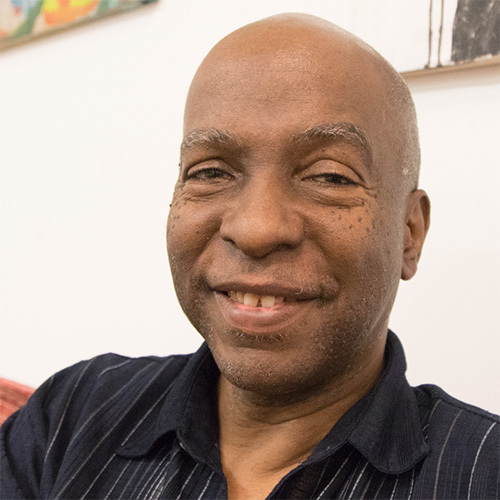 Originially from Trinidad and Tobago, Cary Earle studied aerospace engineering at New York University before getting into the restaurant business. 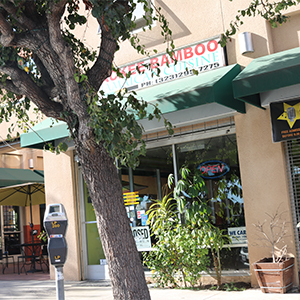 Ackee Bamboo Jamaican Cuisine has served the Leimert Park neighborhood since 2001. 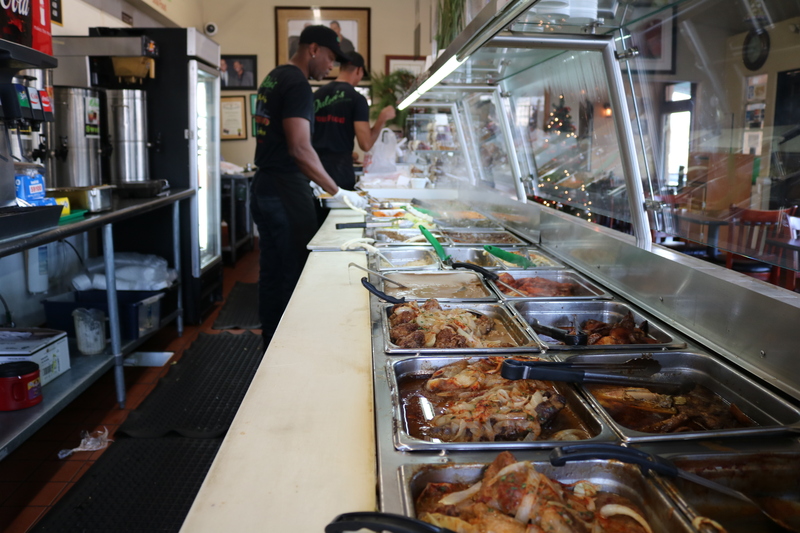 Their menu features Carribean favorites like oxtail and jerk chicken. Customers can also try the restaurant's namesake, ackee, Jamaica's national fruit, by ordering ackee and saltfish. 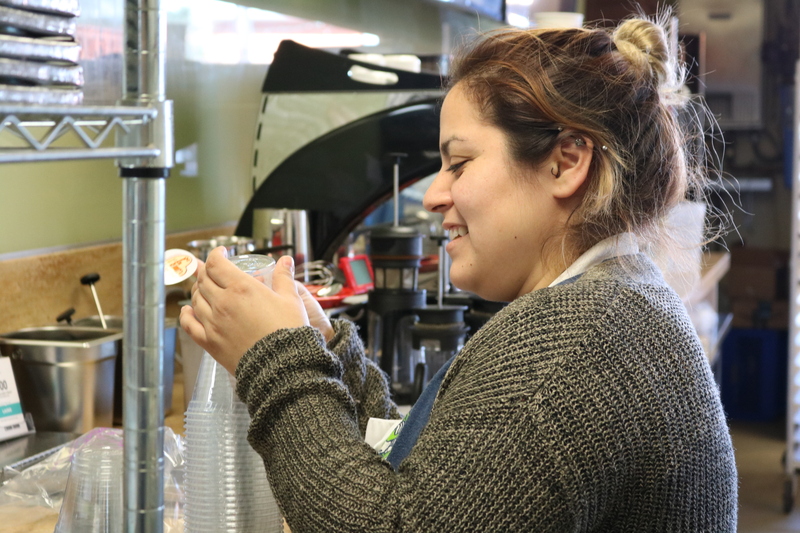 Owner Marlene Sinclair recently expanded the business with a sister cafe nearby. 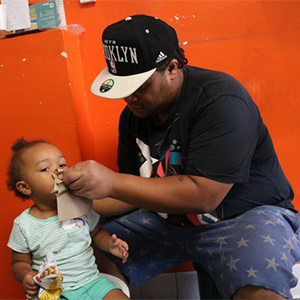 Brooklyn Deli and Mini Market was started in 2014 by husband-wife team Hakeem and Remmi Dolphin, in an effort to bring the New York corner deli to Los Angeles. Inside, it's all hands on deck as their children and extended family work together to pack made-to-order sandwhiches with meats, veggies, and sauces. Signature sandwhiches are posted on a large menu on the wall, each named after the people who first ordered them. The Fernando Pullum Community Arts Center serves free music and performing arts classes for children ages 5-20 as after-school programs. 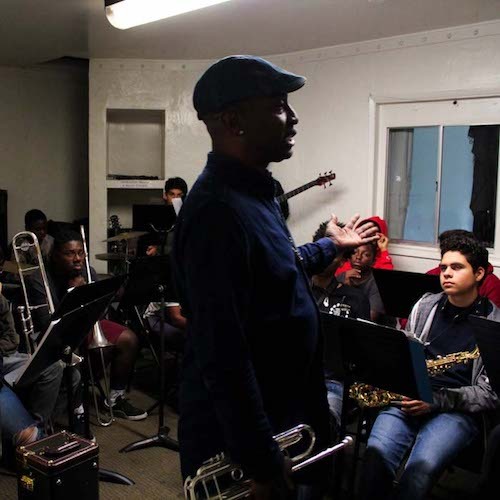 The center, run by Fernando Pullum, aims to use music as a path towards success.A sustainable music program for future generations. The Lula Washington Dance Theatre preserves African-American culture and spirit amid a rapidly changing South Los Angeles.